Unless you’ve been living in a cave somewhere in Illinois, then you’d know that, after a few rainstorms, your roofing probably needs to be inspected. With winter just around the corner, it could be time to have a professional roofer in Chicago, like Rogers Roofing, have a look at your home to see if your roof will be able to withstand snow. Having an inspector check your roof is the surest way to find out if you need any repairs done. However, if you want to have a look yourself, there are a couple of telltale signs that you could check without having to go up the roof. Just grab a pair of binoculars and see if there is discoloration, curling, or any cracks on the shingles, as well as if there are missing pieces, algae, and rotted wood. You could also check the gutters if there are granules of shingles, as well as check your ceiling for signs of leaks. If damage isn’t severe, roofers can simply patch up some parts of your roof or reinforce them at little cost to you. However, all roofs have limited service lives. You’ll eventually need to replace yours especially if you have an older home. When it comes to roof replacements, one of the biggest challenges you would face is choosing which material you want to put on its outermost layer. 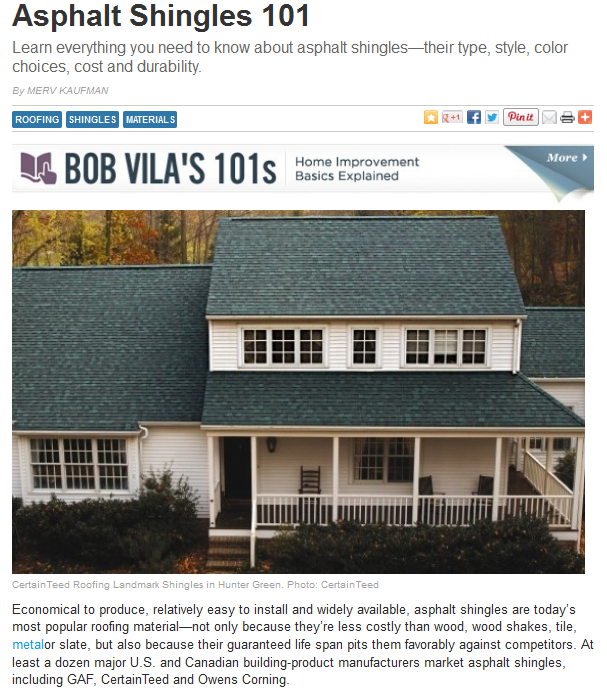 One popular material that has been used in many American homes are asphalt shingles. According to BobVila.com writer Merv Kaufman, this material is easy to produce, install, and is today’s most popular roof cladding. He writes that a lot of people like asphalt mostly because it is more affordable than other materials, as well as durable enough with a good guaranteed life span. This adaptability would truly make asphalt shingles a viable option when you’re replacing your roofing in Orland Park, IL or wherever else you may live near Chicago. With a new roof, you wouldn’t have to worry about leaks and other damage for a long while.